Five people have filed a class action suit against social networking site Facebook in the US District Court for the Northern District of California concerning privacy changes implemented at the end of last year. The lawsuit claims that the changes actually reduced, rather than increased, the privacy of Facebook users. That's contrary to what the company claimed. Where a single click once took care of privacy, with only a user name and the networks a user belong to available on public search, now a great deal more is accessible, including photos and listing of friends, as well as geographic data. The lawsuit, which calls Facebook's messages about the changes "misleading, confusing and disingenuous," is seeking unspecified damages. 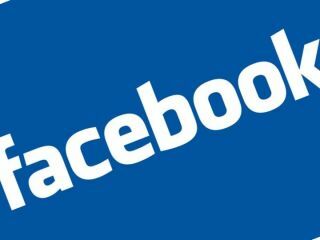 It asserts there are now at least 29 privacy settings spread over a number of Web pages, a procedure it calls "grossly ineffective and users are misled into allowing Facebook to having their personal information easily accessed for commercial use, exposing them to identity theft, harassment, embarrassment, intrusion and all types of cybercrime." When Facebook first explained the changes last December, Electronic Frontier Foundation Kevin Bankston issued a warning about them: In a blog post he wrote: "Our conclusion? These new 'privacy' changes are clearly intended to push Facebook users to publicly share even more information than before. Even worse, the changes will actually reduce the amount of control that users have over some of their personal data." Before the changes, somewhere between 15 and 20 per cent of Facebook users adjusted their privacy settings. There are no figures on how many attempt it these days.